You wouldn't think that one man with two guitars, a collection of harmonicas and a piano, could keep a full house theatre quiet and spellbound for two hours, but on Saturday night Ryan Adams did just that. It was a quite wonderful concert, beautiful and amazing and damn near perfect as concerts go. Photos were not permitted, so I have had to use the promo photo to illustrate this review. Prior to the start of Ryan's set, a voice with a strong Scottish accent, rather amusingly, threatened hellfire and damnation to any who even thought to record, photograph or in anyway disrupt the show with annoying devices. And thus it was that the capacity audience at the beautiful Regent Theatre was prepared for a night of superlative music. And it was delivered in spades. But first I must mention the opening set of Jason Isbell. I have had the good fortune to see him perform previously when he opened for Justin Townes Earle several years ago, so I knew we in for a quality sweetener. He opened with Tour of Duty, a powerful song about a soldier returning from a final tour of duty, and his vain hopes for the normalcy of civilian life, then followed that with Going It Alone before harking back to his days with the Drive By Truckers and singing his version of one of their hits Danko/Manuel. Goddamn Lonely Love was the standout on his set list, as was his cover of Richard Thompson's Keep Your Distance. 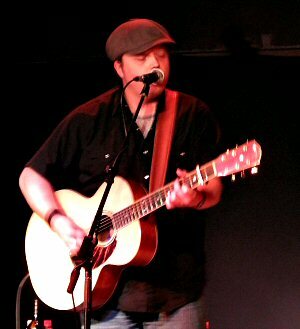 His song about his father, Outfit, was later the basis for a joke in one of Ryan Adams lighter moments. Jason however, is a dynamic performer himself and a scintillating songwriter, so his set, of eight songs in all, was much appreciated by the early arrivals. The rest didn't know what they were missing. Jason's set kicked off at 8.00 pm and lasted approximately 30 minutes, after which there was a short break, so the audience could go off and grab a drink at the bar etc. Alcohol was forbidden in the auditorium. 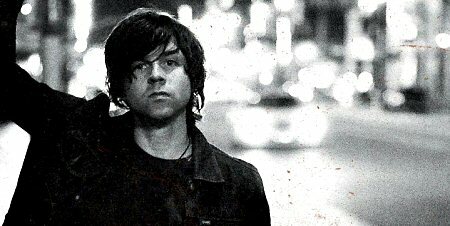 It was about 9.00 pm when Ryan Adams stepped onto the stage to a rousing welcome. The first song of a total of twenty six was the beautiful Oh My Sweet Carolina, a perfect opener to set the mood for the rest of the show. This was followed by Ashes & Fire, the title track of his latest album, which has been widely acclaimed as a return to form by the mercurial songwriter. Much to my delight If I am A Stranger was next. In fact the entire set list was a wonderful selection of favourite songs. Highlights for me were Rescue Blues - an awesome version - as some member of the audience called out to which Ryan quipped "Thanks Dad", Sylvia Plath, a song I love for it's amazing lyrics, Firecracker, The Hardest Part and the perennial favourite Come Pick Me Up, but truth to tell it was hard to single out any particular song, they were all fantastic. And I really loved Ryan's tribute to his pussycat, an amusing and perfectly executed ditty called Mr Cat. It had the audience in stitches. Yes, Ryan Adams was very funny when he wasn't being serious, and he does take his music very seriously indeed, even if he deprecates it half jokingly. What was remarkable about seeing Ryan Adams perform solo, was that he can carry a show by himself with ease and grace. The fact that he is a supremely gifted songwriter, singer and musician is made patent in this context. With just Ryan, his guitar and beautiful expressive voice, the songs glow with new meaning and you are entranced by his artistic genius. 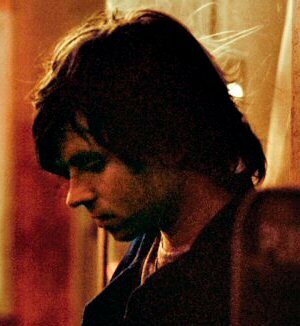 More on the voice - Ryan Adams voice has to be one of the best voices in contemporary music. He can sing anything and give the songs he sings depth and meaning. His voice cuts you to the heart, seduces you with its sincerity, and astounds you with its amazing range. He can go from a whisper to the sweetest croon, to a passionate howl in space of one song, The Hardest Part for instance. Alternating between sitting and standing and shifting from guitar to piano, it was a concert full of variety as the song list suggests. At the end of the main show, which finished with Come Pick Me Up, the audience rose as one to accord the man a standing ovation. This happens very rarely in the shows I have been to, but Ryan certainly deserved all the love and reverence accorded him last night. They rose again after the three song encore as Ryan took a bow for the last time. It was one of the best shows I have ever had the good fortune to witness, up there or even surpassing Leonard Cohen and Lyle Lovett and all the other great artists I've seen live. This was the sixth time I have seen Ryan Adams in concert, but the first time I have witnessed him performing a solo show. Much as I loved his concerts with the Cardinals, Ryan in troubadour mode really impressed me more deeply than I could have imagined.